Shift your perspective, open your mind. INVITE SPIRITS IN THE GARDEN TO INSPIRE YOUR LIFE. Some have called them gnomes, fairies, and elf spirits. This time they are real. Here are the first known documented photographs of Spirits in Nature. LIVING BEINGS REVEAL THEMSELVES in the lush flower close – ups and garden photographs of this enchanting book offering us a blueprint for restoring the earth to well-being. 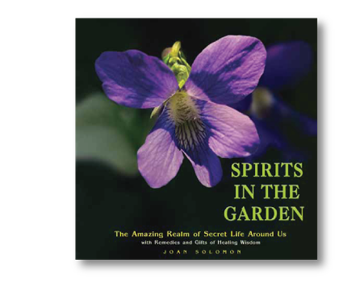 Learn more about Spirits in the Garden.